Reviewing Buried Child, Honky Tonk Angels. Sam Shepard's Pulitzer-winning family drama Buried Child is nearly 40 years old but contains MAGA threads that could have been written last week. Employing a unique brand of kitchen sink surrealism, Shepard mapped the American dreamscape like nobody else. The territory he explored was lonesome as a Hank Williams ballad, jazzy as a Miles Davis joint, funny as a Buster Keaton pratfall, vast as the Texas sky, and confining as a snow globe. His celebrated family plays are populated by desperate people lost inside history's funhouse, using old photos, movie clips, sports trophies, Lefty Frizzell records, flags, and family stories to construct artificial realities as sturdy and enduring as bronze statues of frail men in military garb. Buried Child, now onstage at TheatreWorks, is an Oedipus redux, telling the story of Vince (Stephen Garrett), a young man who brings his girlfriend home to meet the family. Only when he arrives, nobody seems to recognize him. Vince's sickly grandfather Dodge (James Dale Green) is all paranoia and cranky defiance as he drinks, watches TV, and falls apart piece by piece. His grandmother Haley (Emily Peckham) slips around with the preacher, and his mentally incapacitated father (Jeff Kirwan) wanders in and out of a torrential rain with vegetables he's found growing on infertile land that hasn't seen a crop in 40 years. Except for the one time when he wanders through with the family's secret shame cradled in his arms like a doll. New Moon's Buried Child is too brightly lit, and never the moody, TV-haloed nightmare it needs to be. The acting's good, but the ensemble's neither as focused or as tightly wound as the cast for last season's terrific production of Killer Joe. Attention to details, a hallmark of the New Moon's best work, is in shorter-than-usual supply here, but the acting is generous and brave all around. James Dale Green and Jeff Kirwan are especially satisfying as the cantankerous Dodge and Tildon, a raggedy man who moves through the world like someone who's grown accustomed to random horror but doesn't want to step in it. 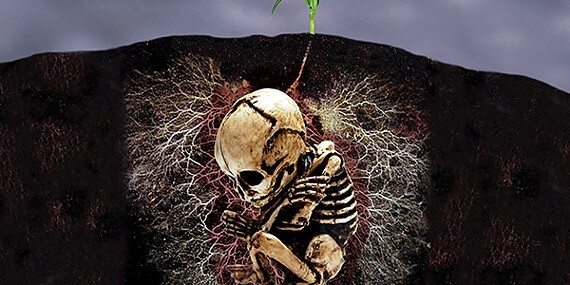 Buried Child is at TheatreWorks through November 5th. Far be it from me to suggest that there's no place in country music for jazz hands, but if you're going for verisimilitude, it's probably a look you want to avoid in a show called Honky Tonk Angels. Then again, between show-tuney arrangements of classic country songs and a paper-thin script full of cringe-worthy lines, verisimilitude may not be a big concern in this cruise-ship-ready musical revue. There's something intrinsically nostalgic about Honky Tonk, which was always city music for country people. It's the electrified steel-guitar-laden sound of rural people chasing economic opportunity in the aftermath of WWII. Folks who landed in town with a guitar slung over their shoulder wrote plaintive songs about displacement, temptation, loss, and longing for a simpler life more mythic than real. Honky Tonk Angels, currently on stage at Germantown Community Theatre (GCT), chases a version of that story that's both contemporary and contrived. If follows the trials and tribulations of three women who meet and form a band on the bus ride between Memphis and Nashville. What GCT's production has going for it is a strong cast that approaches the material from such an honest, loving place they almost make a pandering script sound as honest as a Tammy Wynette song. Tamara Wright plays Sue Ellen, whose backstory is loosely rooted in the song "9 to 5." She brings the sass and sizzle on tunes like Parton's pink-collar anthem and Pam Tillis' uptempo novelty, "Cleopatra (Queen of Denial)." On the other end of the country spectrum, songs like Loretta Lynn's "Don't Come Home a Drinkin'" and "The Pill" sound perfect coming from Ashley Whitten-Kopera's Angela, a homespun narrator whose backstory revolves around life in a double-wide with an inattentive husband named Bubba. From her simple-but-effective acoustic guitar accompaniment to her strong voice and wholesome girl-next-door approach, Courtney Church-Tucker is something of a miracle worker in the role of Darlene. Her history is inspired by an ridiculous interpretation of Bobbie Gentry's hit "Ode to Billy Joe," and, to her credit, Tucker somehow makes you believe.